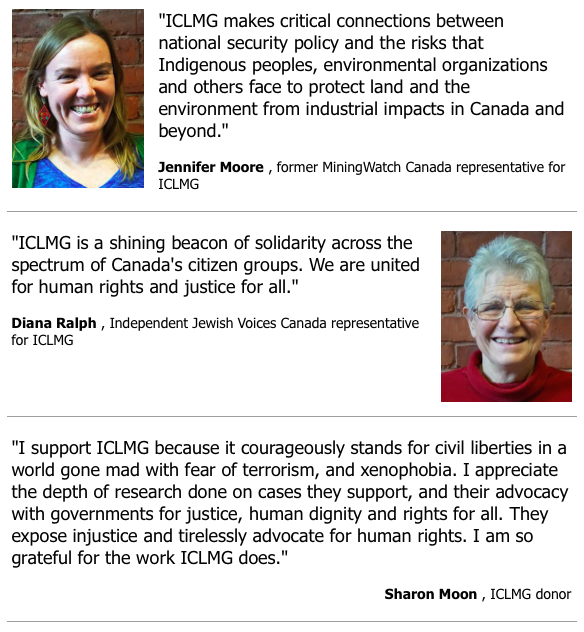 Support ICLMG on Giving Tuesday! #GivingTuesday is a global movement for giving and volunteering, taking place each year after Black Friday. It provides a platform to encourage people to donate their time, resources and talents to make the world a better place for everyone. In the spirit of this day, we would like to say thank you to our very generous supporters and donors, without which our work of protecting civil liberties from the negative impact of national security would not be possible, as we receive no government or corporate funds. If you would also like to support our work, click the button below. 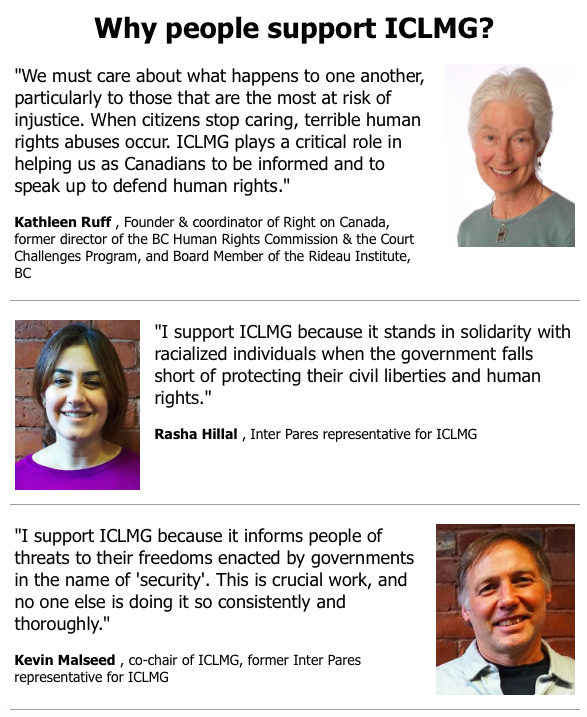 Thank you for your help protecting civil liberties in Canada! This entry was posted in News from ICLMG on 27 November 2018 by ICLMG CSILC.